It can be not very easy to write a decent essay during college, especially if you do not feel inspired or cannot collect your thoughts. But do not worry – a bit of planning, research and hard work and you can easily perform any task. The essay should begin with an introduction in which you have to mark key points to attract the reader. These are the points of view that you will consider in the main part. If you want to learn how to deal with such an assignment well, follow these recommendations. More tips can be found at crazyessay.com/write-my-essay. For many students, this step and all subsequent ones may seem banal and long-established, but think, have you yourself analyzed each of these steps? Have you always followed a consistent algorithm for the correct writing of a good work? So, maybe it makes sense to read the "long-known truths" once again and, finally, try to do it as recommended? So, let us return to our topic. Clarify for yourself the essence of the task. Perhaps, you want to immerse yourself in writing an essay with your head and wait for inspiration, but, first of all, you must know exactly what one wants from you. Read the assignment and define the topic, the required volume, the necessary structure. You do not need problems with different shortcomings, dissatisfied teacher and the requirement to correct your text or even rewrite it. To write an essay on some subjects, you may need a serious study of a particular problem or phenomenon. If you are not sure whether you need to do your research or you can use educational materials, it is better to consult a professor in advance. Thus, you will find out the answer to your question, and the teacher will see that you responsibly approach the task. Study the classification of essays of different directions. Each of these works has its own characteristics, its own structure and its rules, which you must know. For example, it may be an essay-reflection, in which you consider only one point of view and prove to the reader the appropriateness of its acceptance. This can be an essay analysis in which a certain work is examined and its content, subjects, characters, etc. are studied. Review, scientific analysis, comparative characteristics – be prepared for any kind of work. Many people overlook this point, shelve it and subsequently have many problems. Decide whether you are writing for a professor, groupmates, experts in the field or beginners. In each case, the writing style will be different. Experts do not need clear definitions, but complex terminology will be difficult for a person, who does not understand this topic. If it is a fundamentally new study, then you need to describe your discoveries in the smallest detail. This is a very important point, which is also very often neglected. In most cases, we are talking about the journalistic style, fairly neutral, informative and concise. If you use overly expressive vocabulary in an attempt to convince the reader of the correctness of your thoughts, then the essay will turn into a farce. If you sink to slang or overly spoken language, then the text will not look professional. The style of the text reflects your attitude to the subject. It can be skeptical, admired, cynical, neutral, but no matter what emotions you feel towards the object of research, the style of the text should match the theme. If it is a serious biological study, then you do not need to express your opinion. If you write free thinking on a topic, then the style can be freer. 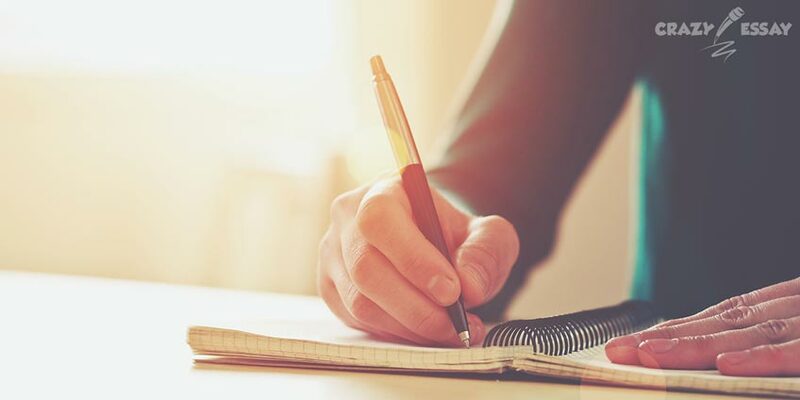 It often happens that a person wants to start writing a work without a clear idea of what he or she wants to tell and in what order the thoughts will be presented. That is why the list of theses, even the smallest one, is absolutely necessary. It will be your runway, your soil, your base. Find the necessary materials, study them, make the notes in order to master the topic or at least decide on the argument. Make sure that the information is obtained from a reliable source and written by a professional in a particular field, rather than compiled from several places with "collective authorship". Wikipedia is not always an unquestioning authority. Learn the rules of citation design in order to be able to include them in your text. Theses are the basis for drawing up a plan. Do not be picky and do not roll your eyes. The plan is the main ideas around which the discussion will revolve, the main milestones of your essay. This will help you finally decide what you want to convey to the reader and logically structure your thoughts. If you want to write a good essay, then you need to work very well on it: make a plan, make notes, think, analyze various factors. Only in this case, you will get a high grade. You must express your thoughts in a logical sequence. Remember that the main goal of any text is to win the attention of the reader. This means that the last word should be yours. Rated 4.4 | 122 votes.